Today, Shelley, everyone’s favorite pattern hacker, is back to share a fun tutorial for making beachwear. When Shelley sent me photos she had taken for this post I was so thrilled! She has a knack for doing clever things with our patterns, and I hope you’ll be inspired to try this yourself now that temperatures are warming up and it’s time to start thinking about what the kids are going to wear to the beach. And don’t miss her tips for buying (recycled!) swim fabric, which will also be helpful if you’re thinking about sewing the two new Lisette swimsuits. Take it away, Shelley! Hello again. For those of you in the Northern hemisphere I hope you’re starting to get some warmer weather and signs of summer coming. Here in Australia, things are beginning to cool down, but I thought I’d extend the feeling of summer by sharing some of my summer sewing with you. I searched high and low for a good pattern for boys’ swim trunks before realizing that I had the perfect pattern already. That most versatile of patterns, and my official “favorite”, the Nature Walk Pants. All that is required to turn the Nature Walk Yoga Pants into boys’ swim shorts is to size down and shorten them! I’ve gone down two sizes from my son’s measurements for these swim shorts and then shortened them such that the finished inseam length was about 1 inch long. 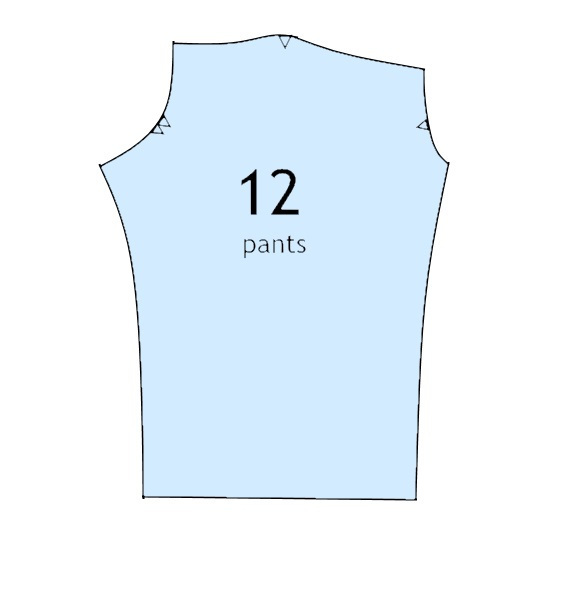 The only pattern piece you need to adjust is the pants piece (number 12). 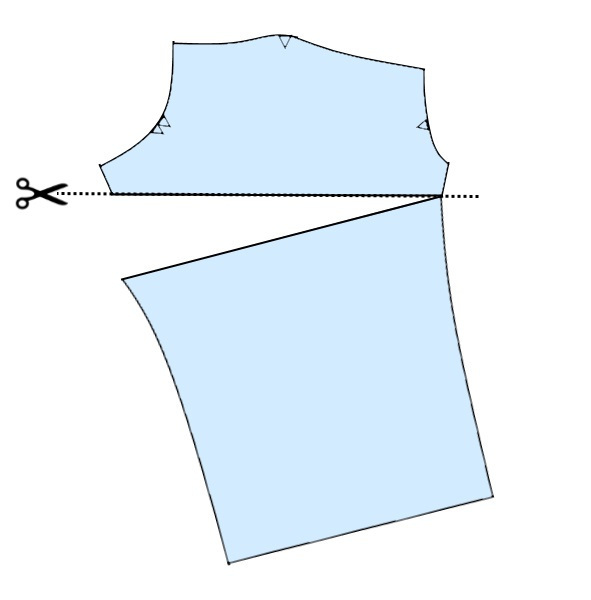 Trace the pattern piece and then cut straight across the leg perpendicular to the grain line arrow. 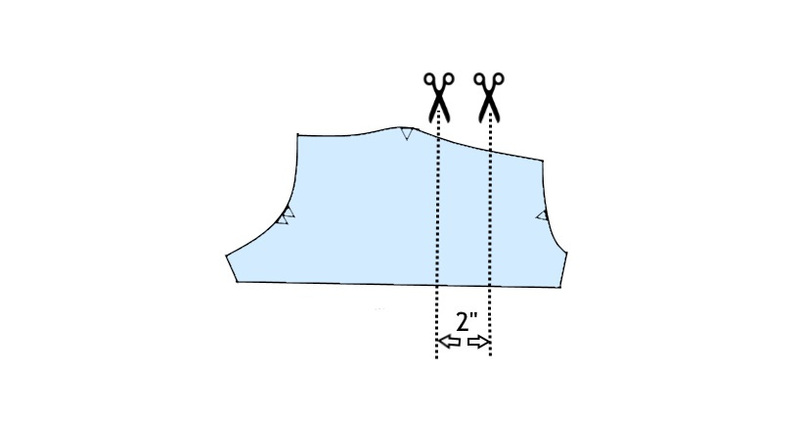 For a 1” finished inseam, you need to add ¼” for the seam allowance, and maybe ¾” for your leg hem. 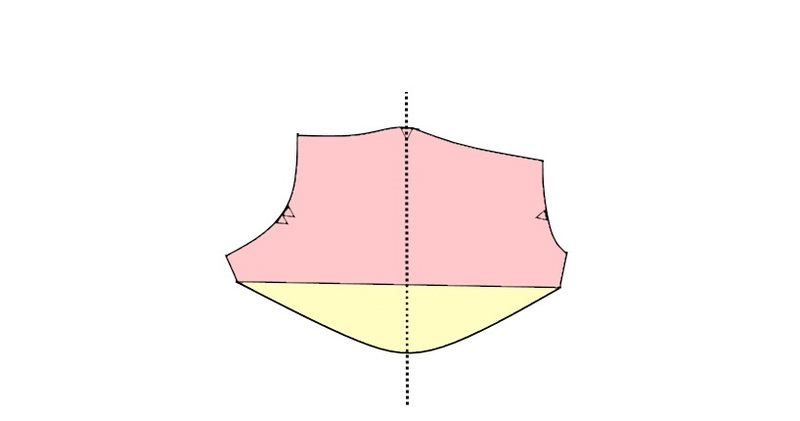 Thus, cut your traced pattern piece 2” below the point of the pattern where the leg part meets the crotch part. I also decided to split the pattern piece to allow some color blocking. To do this I drew two vertical lines 2” apart on the front half of the pants pattern piece and split my pattern piece into three parts. I offset the blocked panel towards the front, but you could just as easily put it right on the side point, or anywhere you like for that matter. 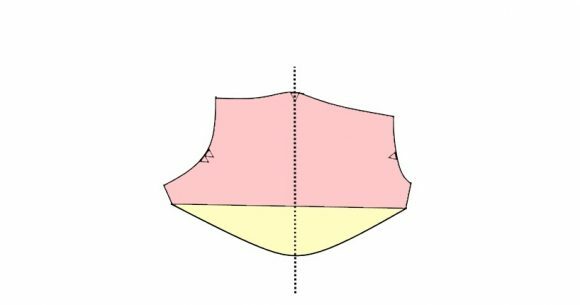 Once you’ve split your pattern piece you might want to mark them in order to remember which goes where, and which way up they go. Also, you need to now add a ¼” seam allowance to each side of each vertical section. Assemble the two pants panels and then sew up the swim shorts according to the pattern instructions. They’re a lovely, quick sew! I wanted the appearance of a flatlocked seam which is what’s commonly seen on commercially produced swimwear. Previously I’ve tinkered with my overlocker to get a lapped seam, but I was worried that might not be sturdy enough for swimwear. This time around I’ve sewn the main seams on my overlocker with the wrong sides together, then stitched the seam allowance down using a double needle. This creates a very strong seam which is flat and smooth on the reverse side. Only the bobbin thread of the twin needle topstitching is on the inside of the swimmers. For the “rashie” I used the Field Trip Raglan T-shirt and simply sized down by two sizes. If I recall correctly I added a ½” to the width of the neckband pattern piece so that it sat a bit higher and closer. Of course, once you’ve sized down, don’t forget to add length to sleeves and hem so that there’s sufficient coverage and sun protection. Then I got thinking that a girl’s version would be cute too, right? The Field Trip rashie follows the same plan as the boy’s top, but I thought I’d “girlie up” the shorts a bit with some ruching. After shortening my Nature Walk Pants pattern piece in the same way as described above, I added some extra length back, with most of the length at the side point. Then I cut two 2” wide strips of fabric to the same length as the shorts panel at the side point. 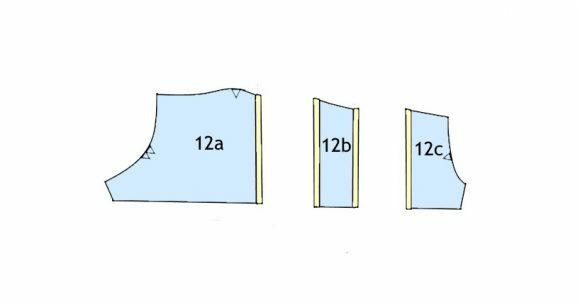 I’ve attached each strip to the wrong side of the shorts by sewing two vertical channels – in much the same way as the casing in this Onstage Tutu tutorial. There’s no need to turn under the edges of the casing as the Lycra won’t fray. After sewing the casing on the edges can be trimmed close to the stitching. 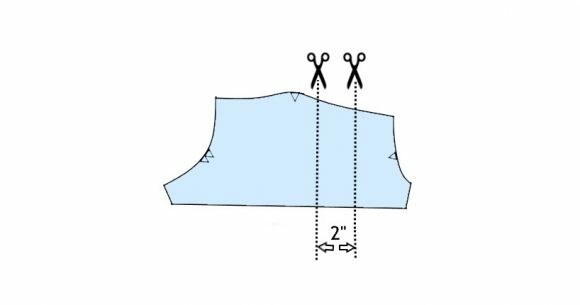 Be careful to end the casing just above the point where the leg hem will come to in order to not accidentally sew it closed while hemming. The drawstrings were made with strips of fabric sewn into a ¼” tube and turned right side out. Given that the Lycra won’t fray, if you don’t mind the wrong side showing a bit, you could simply use raw edge strips of Lycra fabric. Within a week of me finishing these swim shorts the new Lisette for Butterick swimsuit patterns were released. What a lovely surprise to see a ruched swimsuit pattern for us! I’ve made my kid’s beachwear using Lycra Spandex that is sold in my local fabric stores. It takes such tiny amounts to make kid’s swimwear that most of the pieces I’ve used have come from remnant bins. It’s variably described as dancewear, Lycra, Spandex or has no label but has four way stretch and feels right. Over a year of washing, sunshine and chlorinated swimming pools the printed fabrics on previous swimsuits have faded. But the kids have usually outgrown their swimwear before it’s worn out. There are Lycra fabrics with UV protection ratings and chlorine resistant dyes available, but in my searching they are mostly sold wholesale and by the roll. When I can make half a color blocked rashie and a pair of swim trunks out of a 20cm cut of fabric, there’s no way I’m buying a roll of anything! 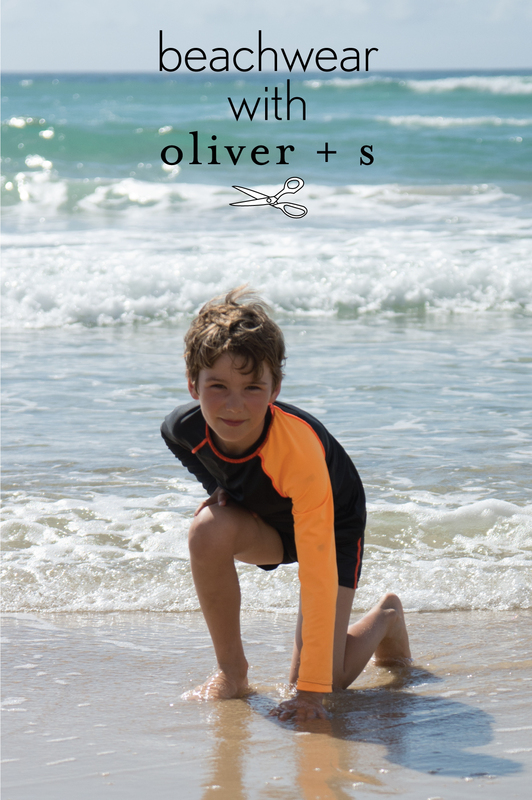 I hope I’ve shown you that if you can sew a t-shirt and a pair of shorts then you can sew beachwear for your kids, and perhaps, like I did, you already have the perfect patterns. One textile manufacturer popped up as a wonderful source of swimsuit fabric. The company is Aquafil and their nylon textile filament Econyl. Econyl is made from 100% recycled nylon waste, such as discarded fishing nets and other plastic ocean rubbish. Fabric manufacturers then use Econyl to create recycled, environmentally friendly activewear fabrics. Italian manufacturer Carvico has a huge range of activewear fabrics including some swimsuit fabrics which are chlorine resistant, offer high level UV protection and are made using recycled nylon filaments. By following the internet search chain it looks like one of my favorite fabric stores stocks Carvico’s Vita Lycra. Next time I’m looking at the table of Lycra swimwear fabrics I’m going to be asking if they can tell me which are the recycled fabrics. 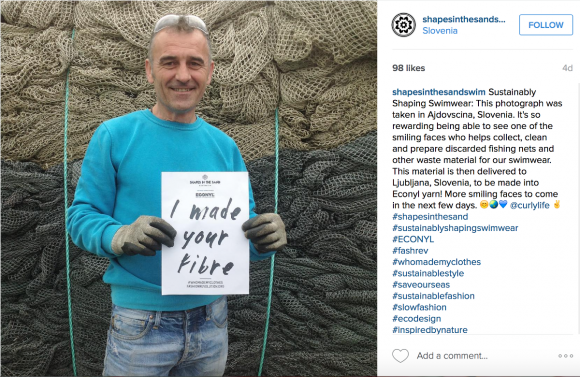 How fabulous would it be to swim at the beach knowing that your swimsuit is one less discarded fishing net. That’s what I’d call a boogie board too! Great tips, thank you. My kid has a rashguard with extra long sleeves with a thumbhole, to cover the back of the hands. She likes it a lot because it feels, I don’t know, superheroic somehow. The darn thing costs a bundle, though, but maybe I can take a stab at making one myself. I was thinking the same thing, Lightning! These look amazing, Shelley. 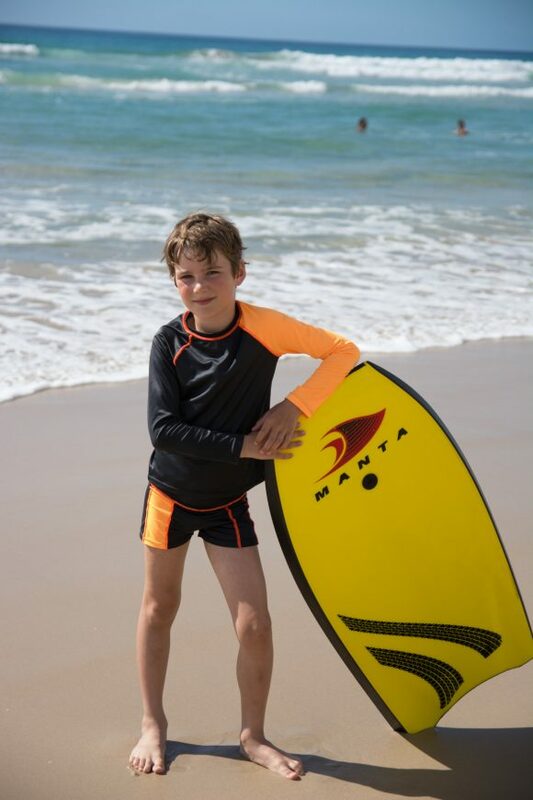 Yay for modest swimsuits that protect kids from the fierce Australian sun! These are fabulous! I love the rash guards. Perfect for southern US sun too. Now I’m thinking of ways to use my favorite pants pattern to make some board shorts for my tall, SKINNY little boy this summer! Thank you! I would love to make myself a rasher as they are so expensive to buy. So all I need is Lycra Spandex fabric? …and a good t-shirt pattern. It doesn’t have to be a raglan sleeve. My store bought rashie looks a lot like a Liesl & Co Metro T with the seams on the outside. Not all Lycra is created equal, but I’d start with some basic Lycra spandex and see how it lasts. A rashie won’t see much chlorine so should do well. I’ve been wondering if the badminton skirt could be made out of Lycra fabric to be a swim skirt? I’d love to hear your thoughts! Thank you! Absolutely Charlene. The built in shorts are perfect. I’d size down to get the shorts tight enough, then add a bit of fullness and length back into the skirt.